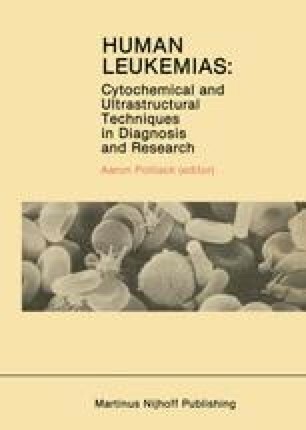 Success in achieving remissions of acute myelogenous leukemia (AML) since the 1950s, and especially since the mid-1970s, has developed a need for greater attention on the part of physicians to improved methods for diagnosing and classifying the leukemias. The majority of AML patients can achieve first remissions, some (5–10%) lasting several years; these prolonged survivors are presumably cured of their leukemia. Many AML patients, however, are still not receiving the benefits of improved diagnostic methods and intensive therapeutic regimens. Of the latter group 80% are dead within a year of diagnosis .